BUG BITE RELIEVER - STOPS THE ITCH! Are you tired of slapping away a stinging insect or biting bug only to be left with an itchy spot? Yeah, so are we! So,w e came up with a neat little gadget called the Bug Bite Reliever. You're gonna love this! All you do is touch the tool's heated sensor to your bug bite and it instantly removes the itch and sting like magic! There are no toxic chemicals or repellents in our tool. It uses the power of heat to relive your bug bite symptoms. 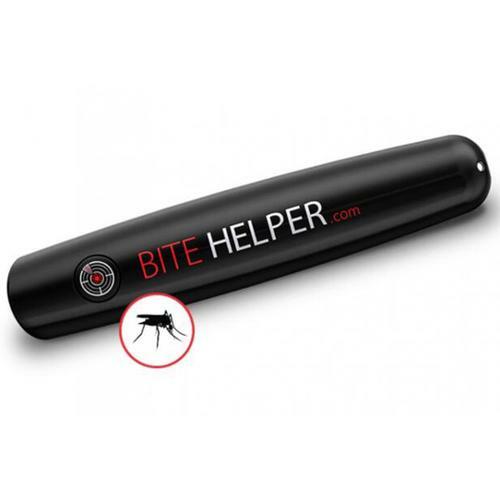 You'll never want to leave home without the Bug Bite reliever tool. It's perfect for taking on walks, hikes in the woods, camping, on vacation, and pretty much everywhere! REUSABLE: Our tool is conveniently battery-operated and made to be reused over and over again. It's a wonderful investment that you only need to purchase, once. No creams, sprays, or ointments! Say goodbye to the sting and itch of bug bites!